Well, that’ll learn me not to make a yearly best list without seeing all the films out there. And thank you, Kathryn Bigelow, for that most useful little lesson. Redoing these lists isn’t something I normally do (whether out of obstinance or laziness I don’t know), but Bigelow’s tense and amazing “The Hurt Locker” blasted its way into my heart and left behind an uneasiness that lingered for hours after viewing. In short, it demanded its rightful spot in my list … and with a film this outstanding, I’m more than happy to oblige. 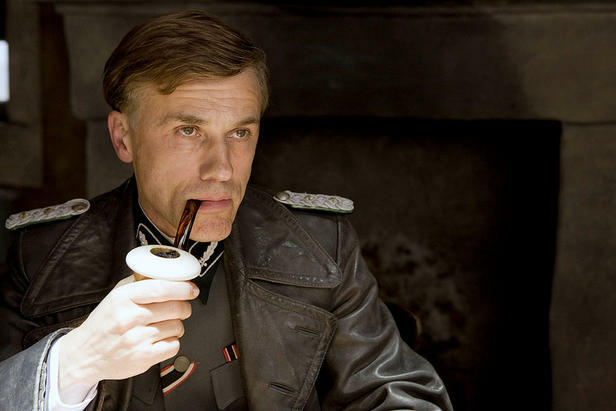 Never underestimate a Jew hunter (Christoph Waltz) who speaks softly and carries a HUGE pipe. With most directors, it’s hard to know if they know when they’ve created a masterpiece. Not so with Quentin Tarantino, who concludes “Inglourious Basterds,” a gloriously loud, darkly comic and explosively complicated epic, with what seems like a statement of his genius. Really, though, can we blame him? “Inglourious Basterds” works as a brilliant piece of revisionist history, a kickin’ action flick, a layered character study (the most intriguing character being, of course, Christoph Waltz’s fabulously wily Col. Hans “Jew Hunter” Landa) and a technicolor work of art. Bravo, Mr. T. Bravo. Jeremy Renner and Anthony Mackie show the spoils (and horrors) of war in "The Hurt Locker." Roger Ebert, in his review of “Up in the Air,” insisted it was “a movie for this time.” It’s an apt and accurate observation, indeed, and it also applies beautifully to Kathryn Bigelow’s gripping “The Hurt Locker,” which throws us right in the uncomfortable, bloody, unsentimental middle of the War on Terror. Relative nobody Jeremy Renner gives the performance of the year as SSG William James, a reckless adrenaline junkie willing to sacrifice everything — including the safety of his fellow soldiers — to get his next fix. That performance and Bigelow’s confident direction make “The Hurt Locker” not just a great war movie, but one of THE great war movies. 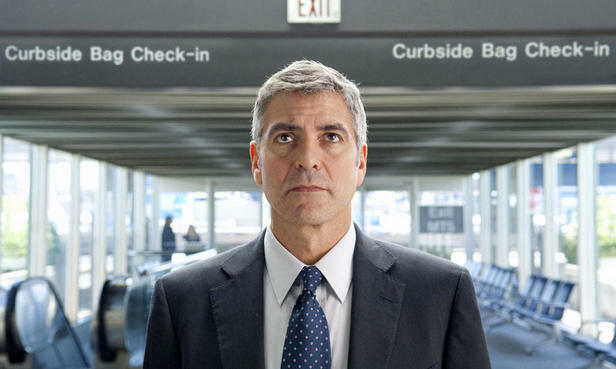 Airports are home to George Clooney, who makes for a most touching aimless drifter in "Up in the Air." To watch “Up in the Air,” Jason Reitman’s gutsy and achingly beautiful third film, is to witness a director coming into his own — though “Thank You for Smoking” and “Juno” hardly felt like the work of a novice — at the precisely correct moment. With “Up in the Air,” Reitman shines an unwelcome light onto the harsh yet strangely hopeful world of corporate downsizing, unemployment and the speedily tanking economy. The never-better George Clooney becomes the face and voice of this world, a drifter who eventually learns what we all know: Any man who insists he’s got life all figured out is twice as clueless as the people he’s lecturing. Gabourey Sidibe (left) and Mo'Nique deliver powerhouse performances in the gritty "Precious." Films don’t get much rougher or rawly acted than Lee Daniels’ “Precious,” adapted from Sapphire’s best-selling novel “Push.” At times difficult to watch, “Precious” nonetheless introduces us to newcomer Gabourey Sidibe, who is a revelation as the Bronx-born Precious. The teen, rendered practically mute by the horrors of her life, endures unspeakable emotional and physical abuse at the hands of her vicious mother (Mo’Nique, who most assuredly deserves a Best Supporting Actress nod). Sidibe — and Daniels — manage the impossible here: to find hope in a life where none, rightly, should exist. Dreams deferred, then recovered, come to vivid life in Disney-Pixar's touching "Up." There’s something about youthful dreams that never, ever get old. 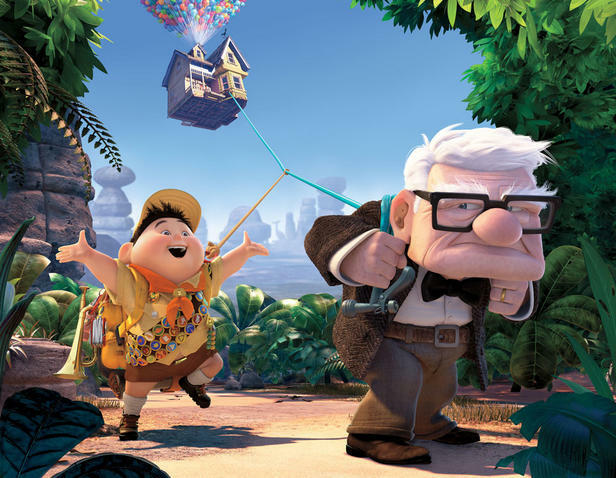 Disney-Pixar’s “Up” takes this never-aging concept and runs with it in “Up,” a sweet, very funny and often heartbreaking look at an elderly man’s (voiced by Ed Asner) stubborn refusal to let go of his late wife’s dream to travel the wilds of South Africa. How he goes about achieving that decades-old goal boggles the mind in terms of bright, gorgeous animation. But visuals aside, what “Up” does so wonderfully well is tap into our secret hope that it’s never too late to try again for the heart’s strongest desire. Joseph Gordon-Levitt memorably discovers that not every love is eternal in "(500) Days of Summer." Try as we might, humans can’t force love — or, at the very least, our memories of it once it’s vanished — to follow a neat-and-tidy timeline. Neither will it conform to the molds we attempt to force it into. 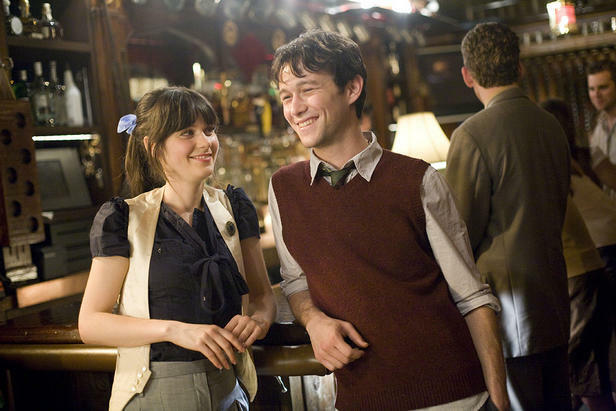 “(500) Days of Summer,” a painstakingly constructed yet fragmented tale of love lost, drives home these points through Joseph Gordon-Levitt, a 20something convinced a coworker (Zooey Deschanel) must be The One. He’s wrong, very wrong, we learn in the opening credits, and thus “(500) Days” becomes a different kind of love story — the painful kind, but the one most likely to stick with us once the credits roll. Eric Bana adds "villainy" to his already-full resume in "Star Trek." Summer blockbusters often get snubbed come Oscar time (remember what happened with “The Dark Knight”?) on the basis they lack any substance beyond the visual pyrotechnics and the glitter. Count “Star Trek” out of that lot, for this is the other kind of summer blockbuster — the one that has it all, from the visuals to the special effects to great acting (found everywhere, but especially in the performances of Chris Pine, Zachary Quinto and Leonard Nimoy) and first-rate writing. “Star Trek” is a treat for the senses, all of them, and a much-needed shot of epi to the dying “Star Trek” franchise. Joaquin Phoenix plays a beautifully damaged shell in the superbly acted "Two Lovers." James Gray, with “Two Lovers,” does something most extraordinary: make a movie about a romantic triangle that eschews melodrama and focuses instead on affecting character growth. At the center of this character study is Leonard (Joaquin Phoenix), a shifty soul reeling from his fiancee’s departure who falls for two women: the beautiful but equally unstable Michelle (Gwyneth Paltrow) and Sandra (Vinessa Shaw), the kind daughter-of-a-family-friend who senses Leonard’s troubled nature and wants to help him. The strong performances lead to a resolution that’s poetic, somehow unspeakably sad and not the least bit maudlin. 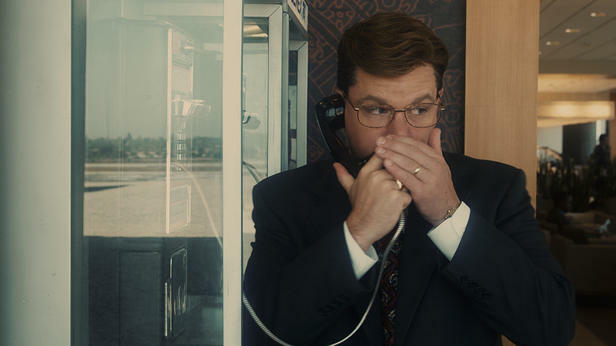 James Bond ain't got nothin' on whistleblower Mark Whitacre, a spy of his own creation, in "The Informant!" A story about one of the world’s biggest (and strangest) tattletales, Mark Whitacre (wonderfully portrayed by Matt Damon), sounds intriguing enough. Then in marches Stephen Soderbergh to direct, and, well, it’s all over from that moment on. Soderbergh, with his trademark verve and style, transforms the story of Whitacre, who blew the whistle on ADM’s price fixing racket, from a corporate thriller to a jaunty but deeply sad venture into the mind of Whitacre, who concocted such an elaborate, crazy scheme even he couldn’t wrap his fragile little mind around it. Credit Damon, at his best, for taking a buffoon and turning him into an oddly sympathetic Everyman. Tobey Maguire and Jake Gyllenhaal anchor the subtle "Brothers" with strong performances. “Brothers,” much like “The Departed,” offers solid proof that remakes should not be discounted out of hand. Based on a Danish film, Jim Sheridan’s “Brothers” stands as a fine creation on its own, a penetrating look at the effect war — particularly in the realm of Post-Traumatic Stress Disorder — has on families. Tobey Maguire is sheer dynamite as Capt. Sam Cahill, who escapes an Afghani prison camp but comes home to his wife (Natalie Portman) and worried brother (Jake Gyllenhaal) a broken, dangerous man. “Brothers,” with its wrenching but never showy performances, makes us feel the knife edge of his desperation and the way it slices clean through his family harmony. Honorable mentions: “The Brothers Bloom” for its first-rate cast (Ruffalo, Weisz, Brody); “Jennifer’s Body” for its clever dialogue, genius reversal of the teen-girl-as-hapless-victim sentiment informing most horror films and a career-making performance by Amanda Seyfried; and “Zombieland,” which glides in on sheer gross, witty fun. … and “Julie & Julia” and “The Goods”! This weekend!